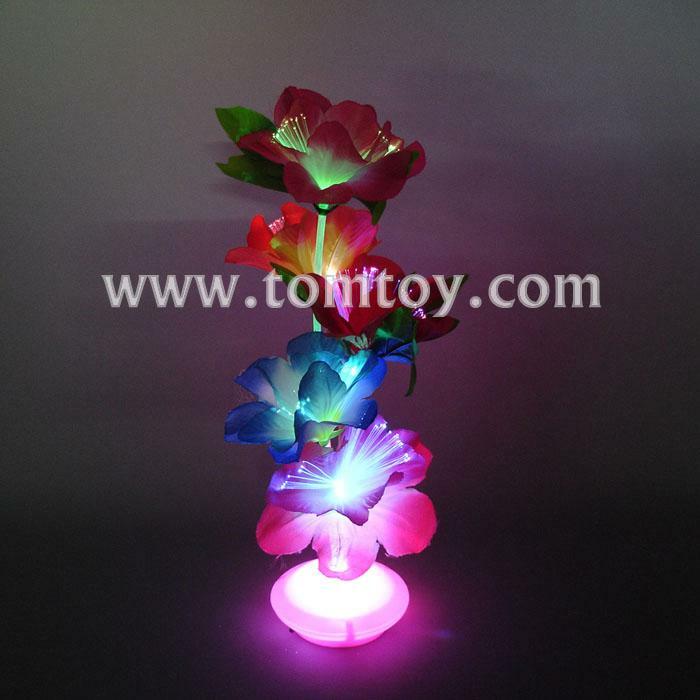 1.Add a bright spot of color to your home with this beautiful fiber-optic flower lamp. 2.Amazing ever changing color effect provies a delightful and romantic ambiance. 3.Looks great on tabletops and are fantastic decorative element to your house or your party. 4. Material: Fibers flower, Cloth leaf, Metal vase, Plastic. 5.This artwork is suitable for many locations, such as Premium Hotel Lobby, Living room, Dining room, Bedroom, Bathroom, Kid's room, etc.